A version of this article is cross-posted from The Global Anticorruption Blog. 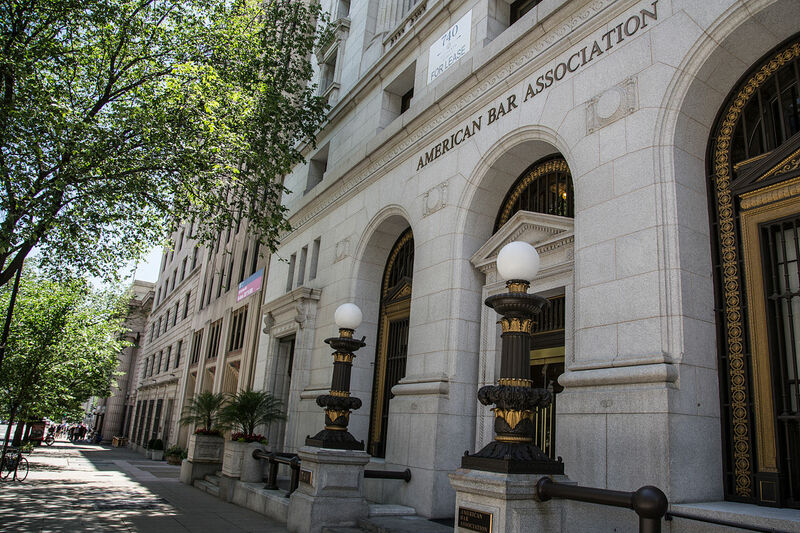 In last week’s post, I raised the question of why the American Bar Association (ABA), which represents the U.S. legal profession, so strenuously opposes even relatively modest measures to crack down on the use of anonymous companies for money laundering and other illicit purposes. In particular, the ABA has staked out a strong, uncompromising opposition to the bills on this topic currently under consideration in the U.S. House (the Counter-Terrorism and Illicit Finance Act) and in the Senate (the TITLE Act). As I noted in my last post, the substance of the ABA’s objections (summarized in its letters here and here) appear, at least on their surface, unpersuasive as a matter of logic, unsupported by evidence, or both. This, coupled with the fact that many ABA members strongly disagree with the ABA’s official position on this issue, made me wonder how the ABA’s President and Government Affairs Office had come to take the position that they had. After doing a bit more digging, and talking to several knowledgeable people, I have a tentative answer: The ABA’s opposition to the currently-pending anonymous company bills is based on an aggressive over-reading of a 15-year-old policy — a policy that many ABA members and ABA committees oppose but have not yet been able to change, due to the ABA’s cumbersome procedures and the resistance of a few influential factions within the organization. Why does this matter? It matters because the ABA’s letters to Congress deliberately give the impression that the ABA speaks for its 400,000 members when it objects to these bills as against the interests of the legal profession and contrary to important values. But that impression is misleading. There may be people out there — including, perhaps, members of Congress and their aides — who are instinctively sympathetic to the anonymous company reforms in the pending bills, but who might waver, for substantive or political reasons, if they think that the American legal profession has made a considered, collective judgment that these sorts of reforms are undesirable. The ABA’s lobbying documents deliberately try to create that impression. But it’s not really true. The key document setting the policy — the one on which the ABA’s House of Delegates actually voted—was promulgated in 2003, hasn’t been reconsidered or updated by the House of Delegates since then, and doesn’t really apply to the currently-pending bills if one reads the document or the bills carefully. First, as I noted at the outset, the key policy document — the one that the ABA House of Delegates endorsed — is from 2003, well before the current bills (or indeed any U.S. legislation) was actually pending before Congress. The 2003 ABA policy was prompted by concerns that the Financial Action Task Force (FATF), an inter-governmental body that promotes effective anti-money laundering (AML) policy — was going to recommend that countries require all the financial system’s “gatekeepers,” including lawyers, to report suspicious client transactions to government enforcement agencies (without informing their clients). The ABA — entirely properly, in my view — worried that such a requirement could interfere with both attorney-client confidentiality and the attorney’s duty of loyalty to the client. After all, a client seeking legal advice or representation may provide his lawyer with lots of information, so that the lawyer can do her job effectively. Some of this information may look “suspicious,” even if the client has not and does not intend to commit any crime. If a lawyer receiving such sensitive information had a duty to turn that information over to the government (without informing the client), prospective clients might be reluctant to fully and freely share information with their attorneys. 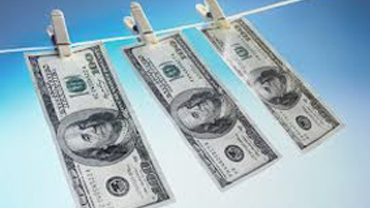 any law or regulation that, while taking action to combat money laundering or terrorist financing, would compel lawyers to disclose confidential information to government officials or otherwise compromise the lawyer-client relationship or the independence of the bar. That position — and the ABA’s subsequent opposition to proposals that would actually compromise attorney-client confidentiality — is unproblematic. But how does this official ABA policy apply to the currently-pending bills? The short answer is that it doesn’t. First, Section 3 of the TITLE Act, denoted “Transparent Incorporation Practices,” requires that, subject to certain exceptions not relevant here, each applicant to form a corporation or limited liability company (LLC) in any U.S. state must provide the state government with information that identifies each “beneficial owner” of the company by name and provides a current residential or business address, and an identification number from a U.S. passport or U.S. state driver’s license. If a beneficial owner does not have a U.S. passport or driver’s license, the applicant must retain a U.S.-based “formation agent”; the formation agent must certify to the state authority that it has obtained from the applicant a current address, a credible and legible copy of the beneficial owner’s foreign passport, and that the formation agent has verified the beneficial owner’s name, address, and identity. The state government or formation agent is legally obligated to retain the information, to keep it updated, and to share it with a government agency upon submission of a valid subpoena or equivalent, or with a financial institution conducting due diligence on a customer (with the customer’s consent). OK, let’s take these two provisions one at a time, starting with the first one. 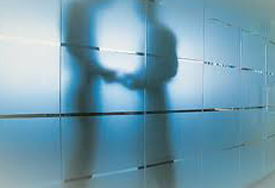 Would a requirement that applicants to form a corporation or LLC must provide information on the identity of the company’s beneficial owners, in the words of the ABA’s 2003 policy statement, “compel lawyers to disclose confidential information to government officials or otherwise compromise the lawyer-client relationship or the independence of the bar”? No, obviously not. In a case where all the beneficial owners have U.S. passports or driver’s licenses, the lawyer doesn’t have to do anything except file this information with the application. In cases where a beneficial owner does not have U.S. identification, a lawyer acting as a formation agent would have obligations to gather and verify some additional information — the beneficial owner’s name, address, and photo ID — but that can hardly be considered “confidential” client information. Indeed, there’s no particular reason a lawyer would have to be the formation agent, even if the lawyer is submitting the forms to the state agency. The attorney can still file all the paperwork, as long as some other formation agent, possibly a non-lawyer, provides a “certification” that the beneficial owners’ identities and addresses have been verified. This isn’t much different from the requirement that an attorney filing an immigration application must include the applicant’s birth certificate, along with a certification from a reputable translator that the birth certificate has been accurately translated into English. So there’s really nothing in Section 3 of the TITLE Act, or its House counterpart, that implicates attorney-client confidentiality in any way, shape, or form. It is true, as the ABA’s letters complain, that these identity verification requirements may impose some additional costs and burdens on lawyers who provide company-formation services to clients. But nothing in the 2003 ABA policy statement authorizes the ABA leadership to oppose any AML law that would make certain lines of legal practice less profitable. 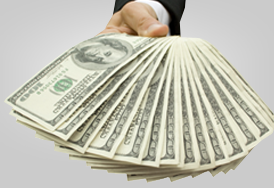 The 2003 policy only authorizes the ABA to oppose AML laws that would threaten attorney-client confidentiality, or the independence of the bar more generally. And there’s no credible argument that the identity verification requirements of the pending bills do anything of the kind. The ABA’s opposition to this feature of the bills is therefore not only indefensible as a policy matter but is not authorized by any properly-adopted ABA policy of which I am aware. Now, what about the second provision, the one that extends US AML law, including SAR filing obligations, to any person “engaged in the business of forming corporations or [LLCs]”? This one sounds a lot closer to the original FATF proposals that prompted the 2003 policy statement in the first place — except for the key fact that this provision of the TITLE Act specifically exempts lawyers! All a lawyer or law firm needs to do in order to escape the SAR reporting requirement (along with all the other obligations that would be imposed under the Bank Secrecy Act) is to use a paid formation agent operating within the U.S. to form the company. That adds some additional costs, but it’s not that onerous and avoids entirely the legitimate concern about the lawyer’s duties of client loyalty and confidentiality that motivated the original 2003 policy. Just to elaborate on this a bit, my understanding of how this works runs as follows: Suppose Client C, a non-U.S. citizen, employs U.S. Lawyer L to represent her in various matters, and as a result L has lots of private information about C — information that doesn’t necessarily indicate criminality, but that C would like to keep concealed from the government. Suppose C requests that L form a Delaware LLC on C‘s behalf, but to conceal C‘s ownership by having a shell company be the formal owner of the new LLC. Under existing law, L could simply form the LLC in Delaware, with the shell company listed as the formal owner. If something like the original FATF recommendation had become law in the U.S., L might need to report suspicious activity to the U.S. government (without telling C), if it appeared, from the information in L’s possession, that the formation of the anonymous LLC might be for purposes of money laundering. Under the TITLE Act, L would inform C that in order to form the company, C would have to provide Delaware with the name, address, and verified identity document for the LLC’s ultimate beneficial owner (in this case C). L would not, at this point, be obligated to file an SAR. If C decides to go ahead with the formation of the company, L would retain third-party Formation Agent F, who would be responsible for filing the paperwork and verifying C’s identity, and would also be responsible for updating Delaware if the beneficial owner of the company changes. Under Section 4 of the TITLE Act, F (who may or may not be a lawyer), but not L, would be obligated to file an SAR if C’s formation of the LLC raised sufficient “red flags.” But F does not have any confidential information about C; F only has the information required to verify C’s identity. L’s duties of loyalty and confidentiality to C have not been compromised in any way. Alternatively, suppose C and L have no prior attorney-client relationship, and C goes to L and asks her to form a Delaware LLC on C’s behalf. L can choose not to retain F, but simply take care of everything herself — including acquiring and verifying C’s identification documents. If L goes this route, then she is indeed covered by the SAR filing requirements — but she doesn’t have any information on C other than the identification information required for forming the company (the same information F had in the previous example). So again, there’s no real threat to lawyer-client confidentiality. It’s therefore hard to see, given the TITLE Act’s express exemption for lawyers, how the ABA’s 2003 policy statement provides a legitimate basis for objection to this feature of the proposed law either. True, it would hurt some lawyers’ bottom lines. Some lawyers who are earning nice fees from helping clients form no-questions-asked anonymous companies would now need to outsource at least part of that process to formation agents; indeed, some clients might decide to cut out the middleman and go directly to a formation agent with whom they have no prior relationship. And clients whose main interest in forming a company is to hide their identity might simply choose not to bother, or to instead hide their assets outside the U.S., retaining a non-U.S. law firm for assistance. So if the TITLE Act passes, some lawyers will make less money. But again, the 2003 policy statement does not authorize the ABA to oppose any AML bill that would hurt some lawyers’ pocketbooks. It only authorizes opposition to bills that would “compromise the lawyer-client relationship or the independence of the bar,” and it’s hard to see how the TITLE Act would have that effect. So I actually don’t think the ABA as an organization has ever made a collective decision, through its official processes, that the ABA should oppose bills like the TITLE Act as contrary to the interests of the profession. (To be clear, I don’t mean to question the motives or intentions of the ABA’s president or Government Affairs office; I suspect that they probably really do believe that the 2003 policy statement obligates, or at least authorizes, opposition to the TITLE Act. I certainly do mean to call into question the motives and intentions of the subset of ABA members who are currently doing their best to thwart efforts to get the ABA to reconsider its opposition. For those folks, this is clearly about money, not high principle.) While the official mouthpieces of the ABA may oppose the TITLE Act, it’s not at all clear that the American legal profession shares this view, or indeed that the ABA has ever made a formal, legitimate policy decision about whether to support or oppose the TITLE Act. The ABA’s letters in opposition should, therefore, be given little weight, even by those who care very much about the views of the organized bar. Matthew Stephenson is a Professor of Law at Harvard Law School.